Mental and dental health are cyclical, where poor mental health results in the neglect of oral hygiene, which in turn can result in social anxieties and self-esteem issues. One of the most obvious mental health issues that directly affects oral health is dental anxiety.Dental anxiety can be described as a fear of visiting the dentist, whether it is for a procedure or a simple examination. These anxieties can stem from a negative experience, fear of dental equipment including needles and drills, or anxieties that have been passed on from other people’s experiences. In severe cases, dental anxieties can result in dental phobia and can cause patients to avoid going to the dentist altogether, leading to more severe oral health problems like gum disease or early tooth loss, as well as physical health issues including heart disease or lung infections. 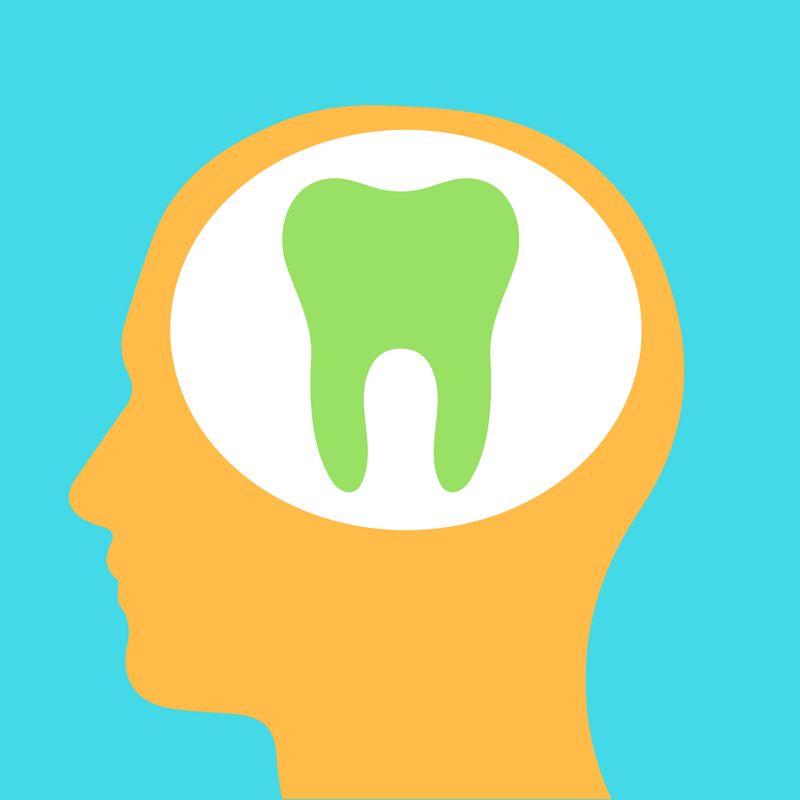 However, the correlation between mental health and dental health is not necessarily direct. Studies show that even the side effects of poor oral hygiene can have a negative impact on mental illness, and vice versa. Those who suffer with mental illness are 2.8 times more likely to lose teeth and have a higher number of decayed, filled or missing teeth. This has an adverse effect on affected individual's physical appearance, self-esteem, and self-image. On the other hand, self-neglect related to depression can result in poor oral care which also leads to tooth decay. Depression has also been linked to alcohol, caffeine and tobacco abuse which can cause and accelerate tooth erosion and decay. Body dysmorphia illnesses, such as bulimia nervosa, may also result in tooth decay as the acid from the stomach erodes teeth. Between 35% and 38% of patients with eating disorders suffer from tooth erosion, whether as a result of gastric acid in the mouth or excessive fruit and juice consumption.